The last time we visited Sydney as a family our kids were only little. We didn’t have much money to spare so we were on the lookout for things to do that were free or low cost. We found plenty of things to do that didn’t blow the budget. So here is my guide to free or low cost Sydney. 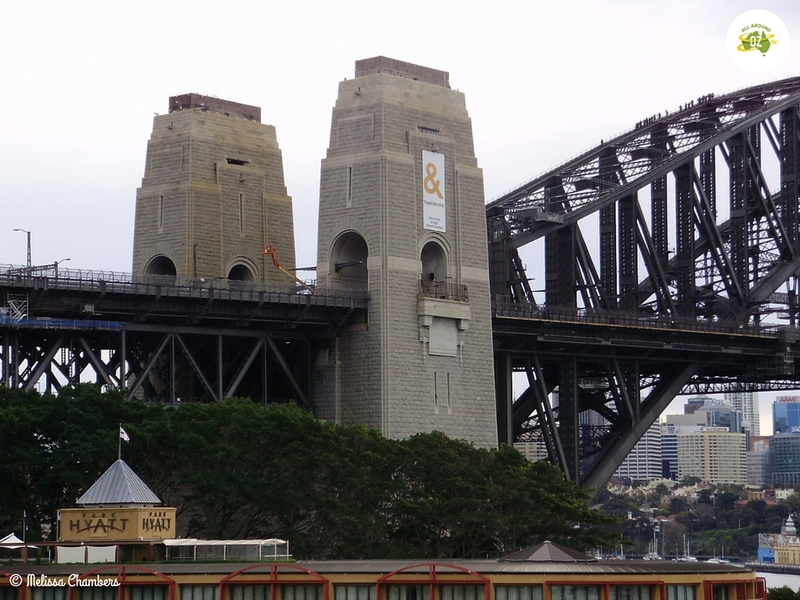 Climbing Sydney Harbour Bridge was not an option for us. The kids were to small and it is fairly pricey. So we chose the free option – a walk across the bridge. The walkway is located on the eastern side of the bridge and is accessed by stairs located in Cumberland Street, The Rocks. Walking across the bridge still offers you amazing views of arguably the best harbour in the world. 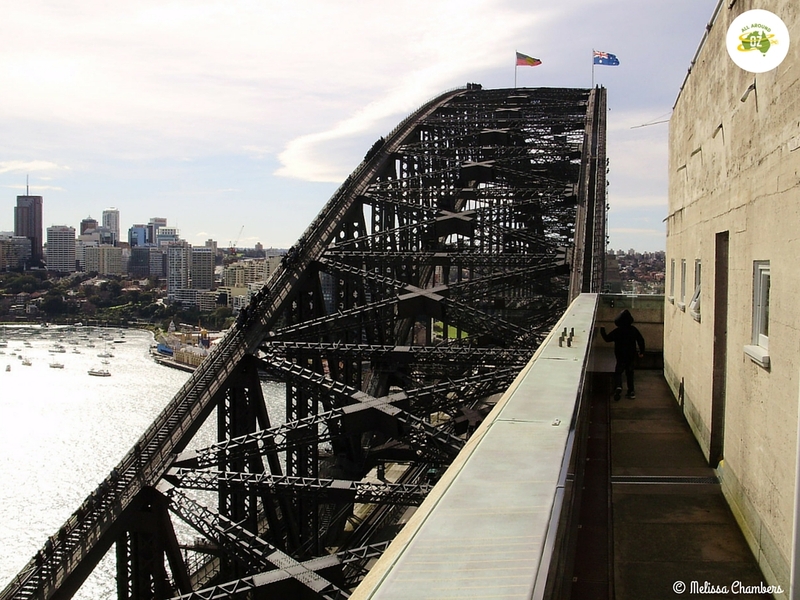 Combine this with a climb up into the South Eastern Pylon which houses a museum showcasing the history of the bridge. A reasonable level of fitness is needed as there are 200 stairs up into the pylon.The views from the outside of the pylon are nothing short of amazing. Climbing the bridge pylon will cost $15.00 per person for over 13’s although concession and student rates are available. The Sydney Harbour Bridge Pylons are an imposing site even from down below. It doesn’t matter where you go, but when your are in Sydney you have to catch a ferry somewhere. My pick would be to go to Manly for a day. I lived in Sydney for five years in the mid 80’s and loved nothing better than catching a ferry into the City and back again. It is the best way to see just how stunning Sydney Harbour is. For something different you can catch a ‘Fast Ferry’ one way and then catch a slower, more traditional ferry back. An adult return ferry ticket is about $15.00 but so worth it for the views. For cheaper fares, travel during off peak times or get an Opal Card that can be used across all public transport systems. 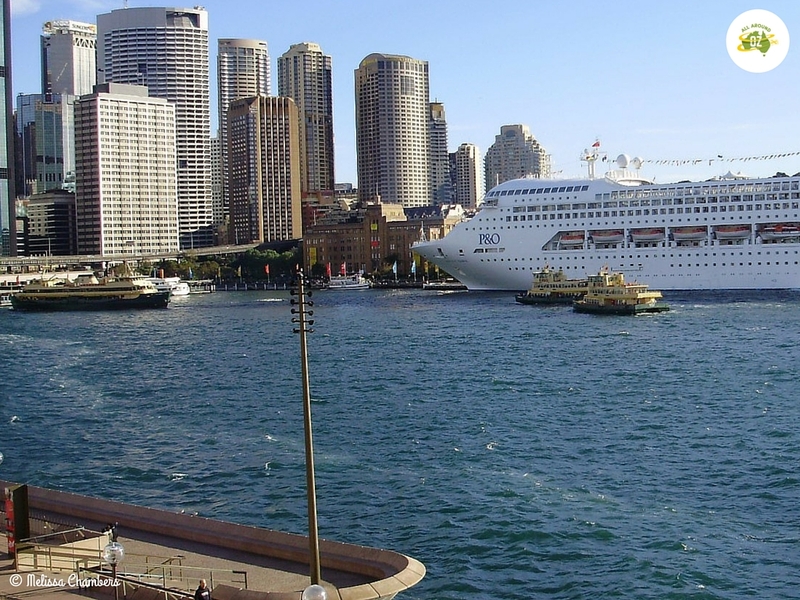 A Manly ferry and two other smaller ferries make their way into Circular Quay with a P & O cruise ship as a backdrop. 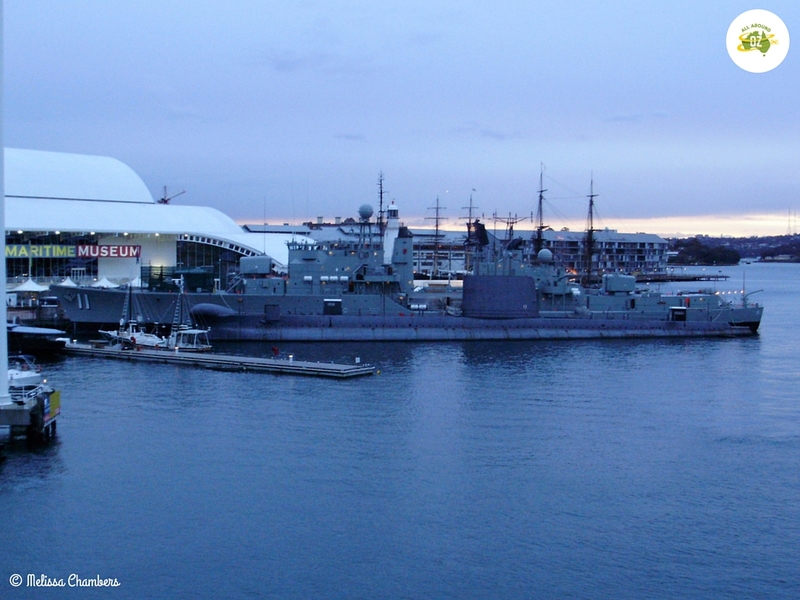 Located at the northern end of Darling Harbour, the National Maritime Museum shares Australia’s maritime history. With an ever changing range of exhibitions and displays there is plenty to keep the kids occupied. And it’s FREE unless you want to explore the fleet of floating exhibits. These include a submarine, a destroyer and a replica of Captain Cook’s Endeavour. This will cost you around $75.00 for a family of five, with children aged 4 to 15. The National Maritime Museum in Sydney is a great FREE attraction. If you are visiting Sydney you have to visit the Sydney Opera House. One of the worlds most iconic buildings this famous Sydney landmark has to be experienced up close. From Circular Quay it is only a short walk around the edge of the Harbour to the Opera House. Once at the Opera House you can walk right around it’s perimeter. Along the way there are plenty of photo opportunities or places to stop for a coffee or a bite to eat. From the Opera House it is just a short stroll into the stunning Botanic Gardens. These waterfront gardens are where Government House is located. Free tours are available on Fridays, Saturdays and Sundays but you must register first. You will also be required to produce valid identification. 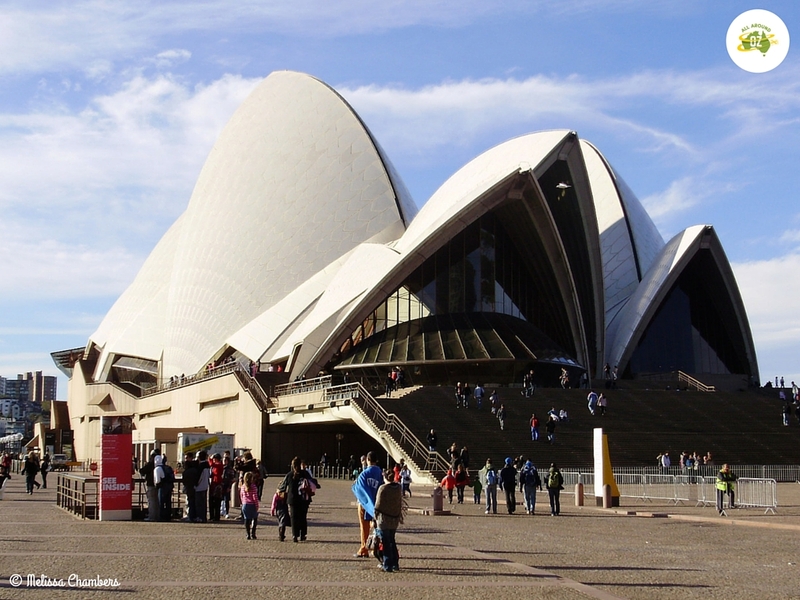 The Sydney Opera House is one of the most recognisable buildings in the world. Last on my list of places to visit is Sydney Tower. Opened to the public in 1981 it is 309 metres tall from bottom to the top of its spire. It is considered to be one of the safest buildings in the world. To access the Observation Deck there are three high speed lifts which take about 40 seconds to travel up. Once on the Observation Deck the 360` views are nothing short of spectacular. On a clear day it is possible to see the Blue Mountains. Entry to the Observation Deck are much cheaper to buy on-line and in advance. Prices start at about $19.00 for children aged 4 to 15. Check the Sydney Tower website for great online deals. 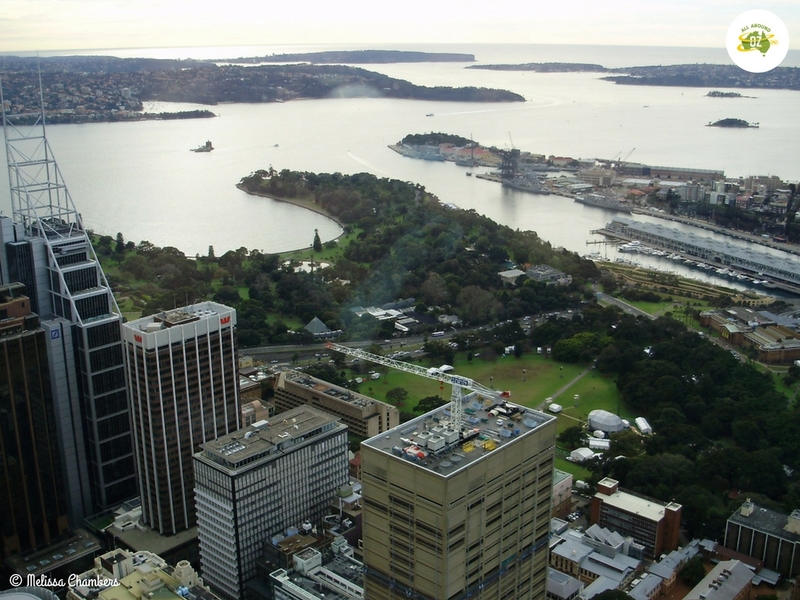 The view from Sydney Tower is nothing short of spectacular. I am a massive fan of the Chinese Gardens in Sydney. Only a few dollars to go in and it’s so gorgeous. And I went in the sub at the Maritime Museum and that was pretty cool too. I haven’t been into the Chinese Gardens for years but they were always lovely when I used to live there 25 years ago! Maritime Museum is a great day out if you have kids. A Sydney ferry is top of my list for when I visit again. I must admit a bridge climb will never make it onto my list. Even the photos give me vertigo. I think just hanging around the Opera House is such a beautiful way to spend a day. It really is a spectacular city. I used to live in Sydney and catch the ferry for work sometimes. Never tired of the views! I love the Sydney ferries! I also like the trip up the Parramatta, but it’s not as spectacular as the Manly ferry. Driving across the bridge (as a passenger…) is also pretty amazing, but I’ve yet to up up the pylon. That’s next on the list I think!